"Go ahead, Daddy! Run the picture of a mop. 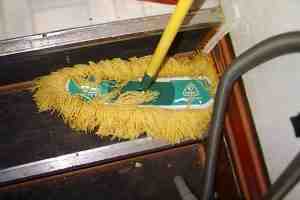 Nobody is stupid enough to waste their precious surf-time looking at a picture of a mop, are they?" "Oh, hi out there! Ummm, isn't this a cool mop?"